The Trackhawk is showing a 25-30c (45-54f) reduction in intake temps. The physical location of the IAT sensor is heat soaked so its reading about 10c (18f) above what the actual air temp really is. You can see when light throttle is applied or WOT the intake temps actually DROP!!! This is because the IAT sensor is actually getting cooled down as cold boosted air is cooling it off. The before/after dyno run in this video was on the factory tune, we expect to see much higher HP gains once the intake air temp tables are tuned to suit. We were very happy with this installation, as per usual the cabin AC is not effected at all it works great, the ice formation on the intercooler lines looks mad and the car certainly has plenty of extra punch. A big thank you to Xtreme Ford Tuning for working with us on this installation and the owner Simon for letting us work our magic on this beast. 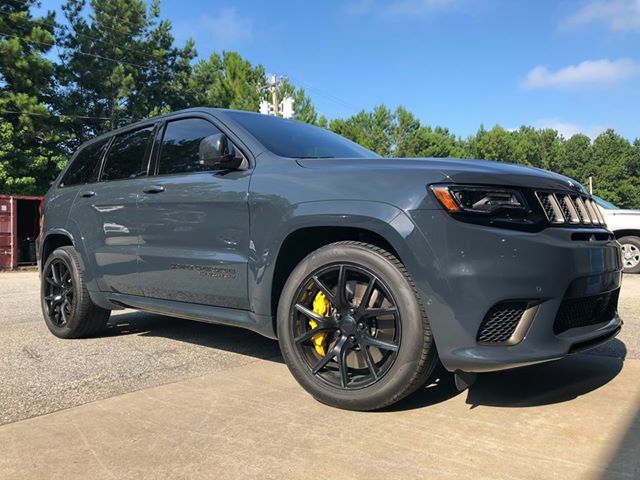 Trackhawk kits are now available as a 100% plug and play kit, this design also applies to other SRT Jeep models too. We can also put our interchiller on any car turbo, supercharged, pro charger etc as long as you have a water to air intercooler. A friend of mine has a Trackhawk,...He says it's "insane"! Keep an eye out for this one it's likely to leave 4 thick rubber lines at a set of lights. You can never have to much HP right? 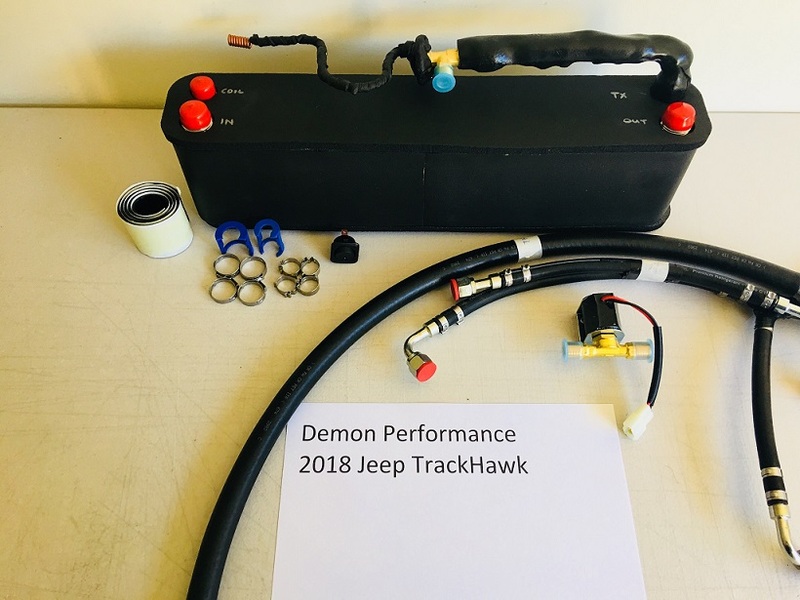 That's what Demon Performance said when building this Jeep Trackhawk, 707HP at the engine stock...meh, this makes 830AWHP on pump 93!!! along with Demon Performance D4X Package + Nitrous!!! After that the guys are going to throw some race fuel at it and see if they can rotate the earth a little faster. 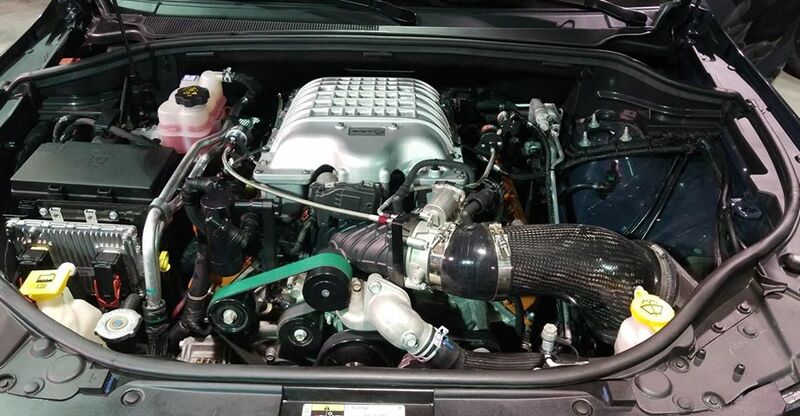 The SRT Jeep interchiller kit is 100% plug and play for all SRT Jeep models with the same AC system.